One of the hardest things for us in homeschooling is getting back on track after a break. The struggle is real. Here are some Ways To Kick Start Your Homeschool that have really helped us to get back on track after a break. Since we school year round, these are really important for our family. There are often times when we get tired and simply need a few days or weeks off. Down time and breaks are essential to homeschooling success. After your next much needed break, put these simple tips into practice to help keep your classroom going strong and your kids learning. Do a unit study. Rather than going through your same old subjects each day, this is a great time to do a fun and simple unit study. You can take a week to use a different way of learning like utilizing our tips for using Legos in your homeschool, or you can do a subject unit study like our favorite Farmer Boy unit study. Unit studies are great for specific topics, words or even ideas. Things like historical era’s, individual people, holiday’s or even things like insects, space exploration or rocketry are all favorites in our house. A unit study will focus on one subject, but incorporates he history of the subject, science behind it, vocabulary and spelling and how it applies to daily life. Set a new schedule or routine. Change things up a bit. Instead of starting in first thing in the morning, try a new morning routine. Work together on chores, or even exercise together in the mornings and do school time in the afternoons. Sometimes mixing up your schedule is al you need to get back on track. You could even switch from a little of each subject per day, to focusing a few hours on only one subject each day, but still getting all subjects covered each week. Make a gradual transition. 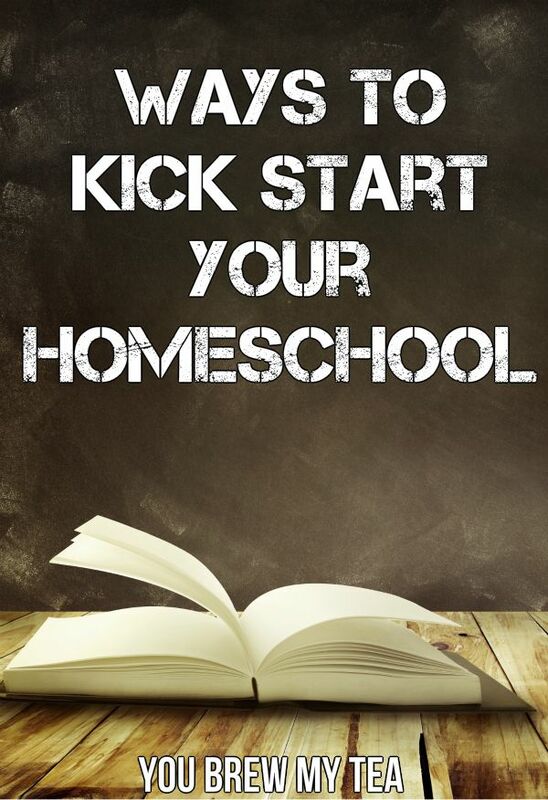 Sometimes you need to kick start your homeschool simply by taking it gradually. That means taking your schedule lightly for a few days and gradually get back into the full swing of things. Focus on doing just a few worksheets the first day. Then transition to more reading, projects or class time the next day. Gradually increase each day for a week until you are back in your old routine again. Sometimes after a break, you simply need to kick start your homeschool with a bit of oomph. Other times you need to take things slowly or mix things up a bit. Homeschooling can be a wonderful way to be flexible in your schedule while connecting to your children, but you still need to figure out methods to make things run more smoothly. Hopefully these tips will help you like they have helped us. For more great homeschool tips check out some of our favorite posts!